The classic Wild West still lives in Phoenix. With its rugged mountains, towering cacti, and colorful sunsets, adventurers flock to this living desert. America’s sixth-largest city offers unique experiences for the cowboy and city slicker alike. Families love Phoenix’s combination of climate, culture, and sightseeing. Here are our Top 10 things to do in Phoenix with Kids. Visitors feel as though they have stepped inside a child’s imagination at the Children’s Museum of Phoenix. A forest made from over 1,300 pool noodles, an unbelievable climbing structure with a flying bathtub, and colorful scarves shooting through pipes at high speeds excite adults and children alike. 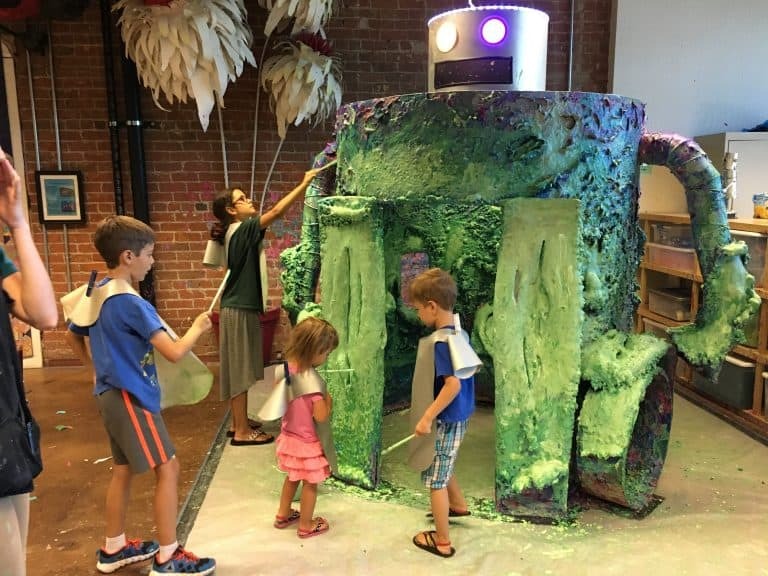 Along with the typical children’s museum fare of play kitchens and stores, this museum offers unique experiences such as a room where kids can make their own forts, a pedal-power car wash, and exhibits to highlight Arizona’s ecosystem. Be sure to bring a snack or plan to eat in the museum’s cafe because your children won’t want to leave. Look for amazing deals on family-friendly hotels in Phoenix. Experience a hurricane, lie on a bed of nails, walk through a human stomach, and so much more. 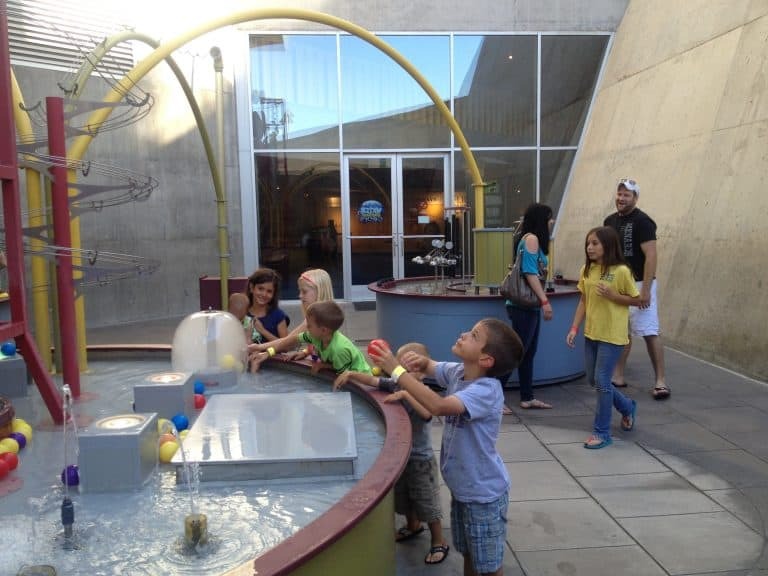 The Arizona Science Center uses a hands-on approach to science and learning. Staff members present live science demonstrations throughout the day, so be sure to check the daily schedule upon arrival. While here, catch a show at the IMAX theater or the Dorrance Planetarium. 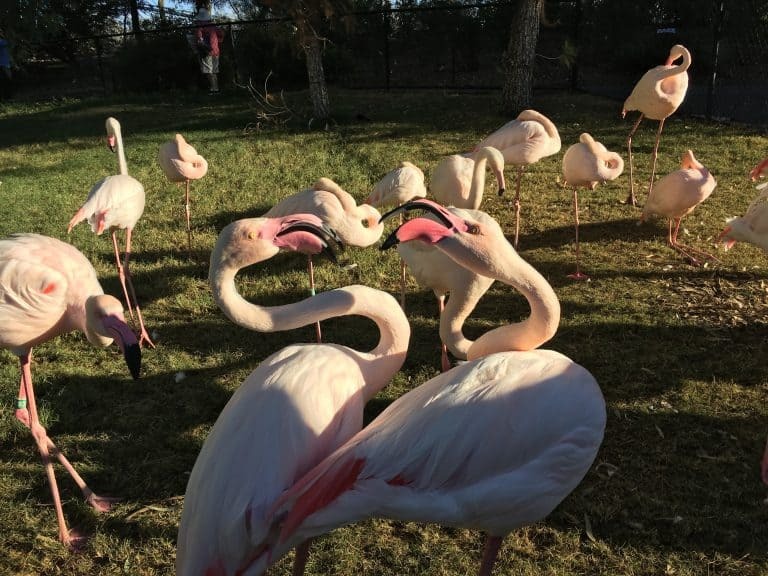 With over 1,400 local and exotic animals in the 125-acre grounds, it’s no wonder Phoenix Zoo is one of the top-rated zoos in the country. This zoo offers free and low-cost animal encounters including a petting zoo, monkey village, camel rides, and giraffe and stingray feeding. If visiting during the summer, arrive early, take advantage of the water play areas, and bring plenty of water to drink. Love taking your kids to the zoo? 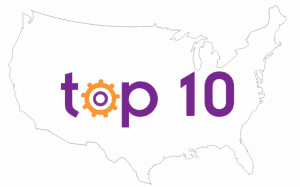 Find out which ones made the Best Zoos in the West! 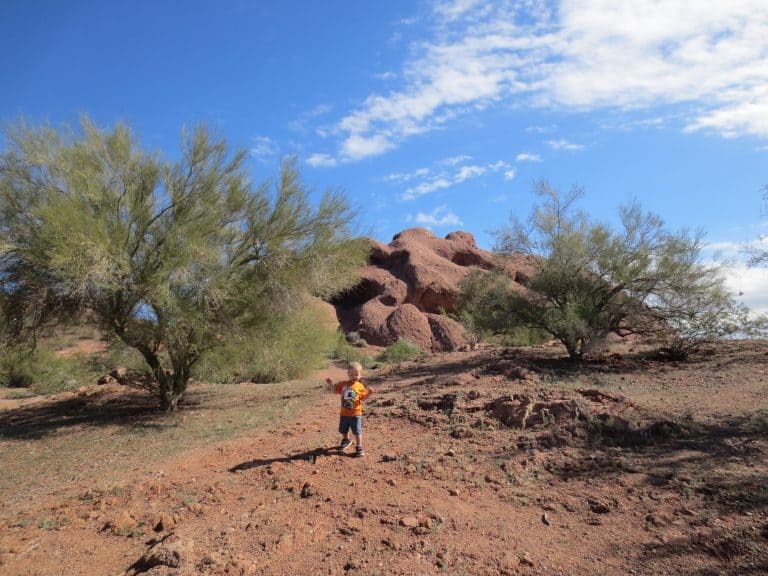 Papago Park covers 1,200 acres of natural desert beauty and is conveniently located 10 minutes from downtown Phoenix. One of its most prominent features is the Hole-in-the-Rock, a large opening on a small sandstone butte. Hiking the easy, 0.10 mile-trail up the back of the hill will reward families with spectacular views of the Phoenix valley. Don’t forget your camera! The park also offers fishing, archery, golfing, picnicking, and hiking and biking trails ranging in difficulty from easy to moderately difficult. If you enjoy outdoor adventures, check out nearby Fort McDowell: Luxury and Adventure in the Sonoran Desert. Arizona is home to 22 Native American tribes. The Heard Museum strives to increase understanding of the culture, arts, and lifestyles of these and other tribes of the Southwest. Families will love the We Are! 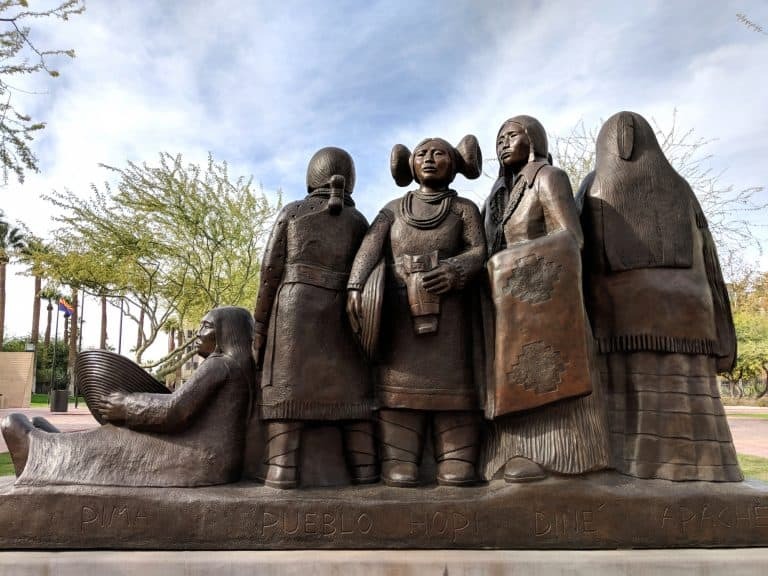 Arizona’s First People and Every Picture Tells a Story exhibits, which include hands-on activities and take-home crafts. The Desert Botanical Gardens showcase over 50,000 exquisite desert plants. Keep the children engaged and excited by picking up a bingo card at the admission window. The Patio Cafe on the Ullman Terrace is a great place to view desert animals while dining. If visiting during the spring or fall, don’t miss their seasonal butterfly pavilion exhibit, where visitors can walk among hundreds of butterflies enclosed in a lush garden. 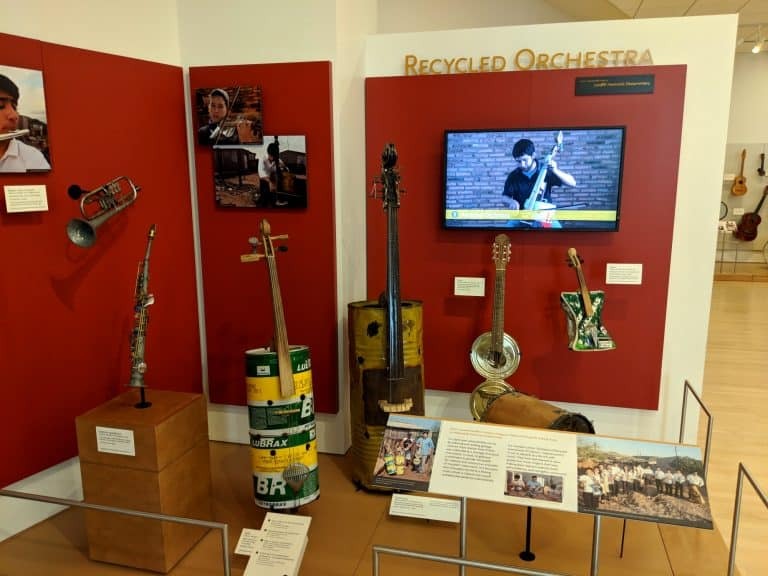 Instruments from every country come together in a multi-media presentation at the Musical Instrument Museum. Visitors are invited to don headphones that automatically play music corresponding with the exhibit you are viewing, while a video screen shows instruments being played in their original setting. In the Experience Gallery, visitors can try some of these exotic instruments for themselves. Plan plenty of time for your visit. Many visitors spend nearly four hours exploring the museum. 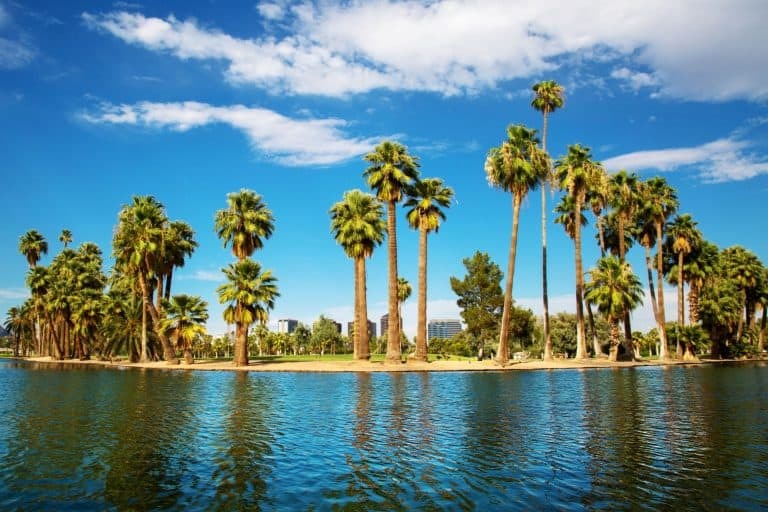 Voted one of Forbes 12 best city parks in the U.S., Encanto Park provides an oasis in the Valley of the Sun. With 222 acres of land, this park features a lagoon, a boathouse, picnic areas, nature trails, swimming pool, fishing, golf courses, and Enchanted Island Amusement Park. Enchanted Island best entertains children 10 and under with its classic rides such as a carousel and parachute drop and a variety of popular attractions including pedal boats and arcade games. Take your kids fishing at one of these urban fishing ponds for kids in Phoenix. One of the best things to do in Phoenix is hiking. The iconic Camelback Mountain is visited by over 300,000 hikers a year who yearn for the breathtaking views the summit provides. The summit trails are strenuous but even little ones will enjoy hiking the easier trails around the base of the mountain. If you are looking for a challenge but aren’t quite ready to tackle Camelback, try the popular Piestewa Peak. This steep 1-mile trail rewards hikers with spectacular views of the city, desert plants, and the occasional desert critter. Another great hiking location is South Mountain Park. With over 51 miles of trails for hiking, biking, or horseback riding, there are trails here for all skill levels. Be sure to bring plenty of water and if hiking during the hot summer months, avoid full sun by venturing out in the early morning or near dusk. Make Phoenix the start of your Epic Southwest National Parks Road Trip with this guide. 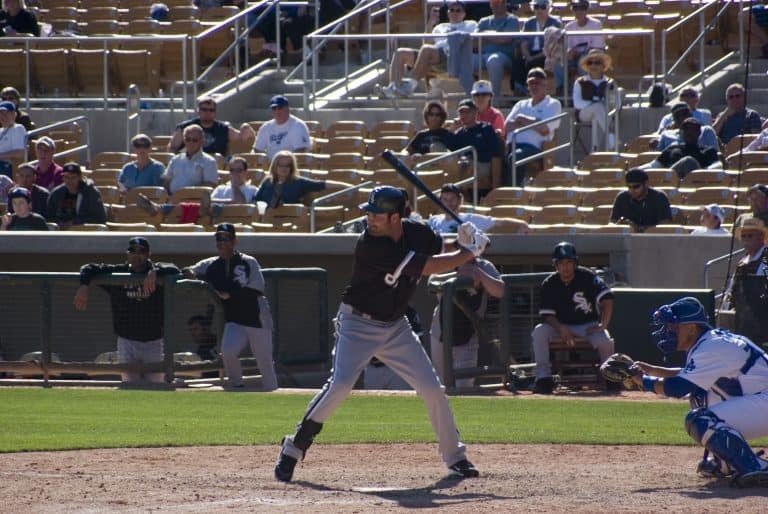 Fifteen major league baseball teams move to the Phoenix area in March for Spring Training, and thousands of fans follow to watch them play. These preseason games are an ideal way for families to enjoy major league games in an affordable, casual setting. Players are usually more relaxed and willing to sign autographs and meet fans during the preseason. The smaller fields of the Cactus League allow fans to get closer to the action. These fields usually have a grassy area behind the outfield where little fans can stretch their legs if they start to get restless. 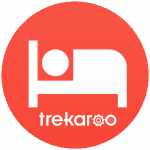 Read more about Trekaroo family experiences at Spring Training. Phoenix cuisine is influenced by cultures around the world, but if you’re looking for something region specific, you’ll want to dine at these family-friendly eateries. Los Dos Molinos turns up the heat with their spicy Sonoran/New Mexican fare and eclectic atmosphere. Locals love Carolina’s Mexican Food, a small restaurant serving their food in a basic counter-serve setting. 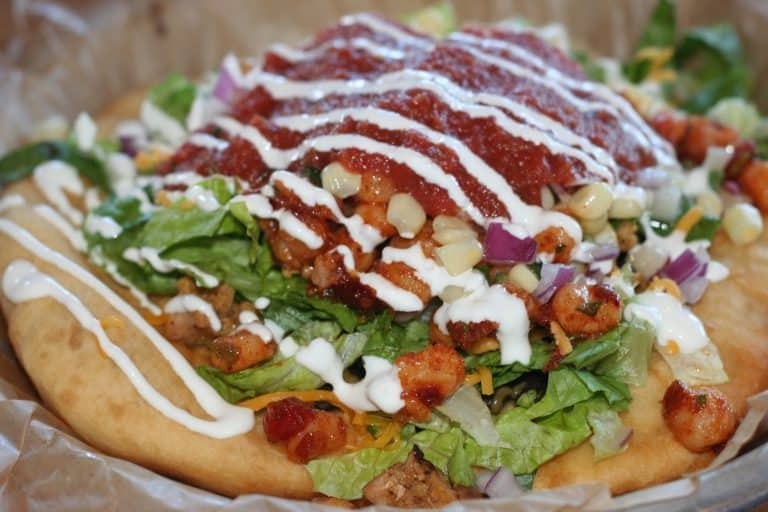 The popular hole-in-the-wall joint, Fry Bread House, offers authentic Native American cuisine. Really get into the spirit of the old west at Rustler’s Rooste Steakhouse. Kids will love the slide into the dining room and the green cotton candy. When you’re ready for a treat, stop by Sweet Republic for delicious artisan ice cream made from scratch using local ingredients. Enjoy amazing restaurant options in Phoenix. One of the top priorities when choosing a hotel for the family vacation is a great pool, and these Phoenix resorts really know how to make a splash. Pointe Hilton Tapitio Cliffs Resort: Situated in the scenic North Phoenix Preserves, this beautiful Pointe Hilton resort offers spacious two-room suites as their standard accommodations. The Falls Water Village features a 40-foot waterfall, a 138-foot enclosed slide, and expansive pools. Arizona Grand Resort and Spa: Oasis Water Park, one of the top 10 water parks in the nation, is located at the Arizona Grand Resort and Spa and is exclusively for resort guests. In addition to eight-story water thrill slides, a wave pool, and a flowing river, guests will enjoy luxurious rooms and family-friendly onsite dining. Pointe Hilton Squaw Peak Resort: This family-friendly resort offers something for everyone with onsite tennis, mini-golf, shopping, and convenient access to mountain trails. The hotel features four acres of water fun in the River Ranch. Here families enjoy water slides, swimming, or coasting along the lazy river. Arizona Biltmore, A Waldorf Astoria Hotel: The historic Arizona Biltmore has been an Arizona landmark since opening in 1929. Amenities include eight pools, fitness centers, croquet, golf, tennis, and giant lawn chess. It’s no wonder this hotel has been frequented by so many celebrities and U.S. presidents. Check for family-friendly hotels in Phoenix. 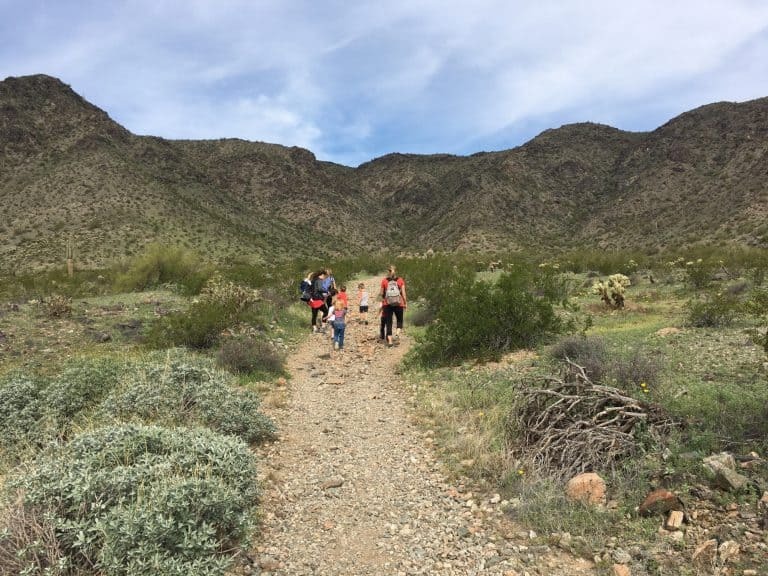 Just across Phoenix’s northeast border lies “the West’s most western town.” The McDowell Sonoran Preserve features over 60 trails through diverse and scenic desert terrain. Hikers of all abilities will love the expansive views, giant Saguaro cacti, and desert creatures at Pinnacle Peak. To really get into the spirit of the West, stop by McDonald’s Ranch for a guided horseback ride, hayrides, and cowboy cookouts. 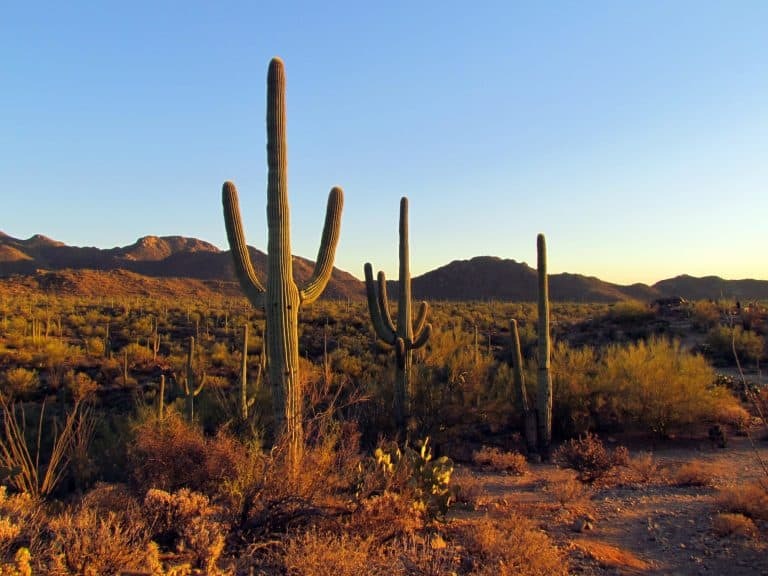 The Saguaro cactus is known as the grand symbol of the West, and travelers who just can’t get enough of these majestic plants should not miss visiting Tucson, home of Saguaro National Park. 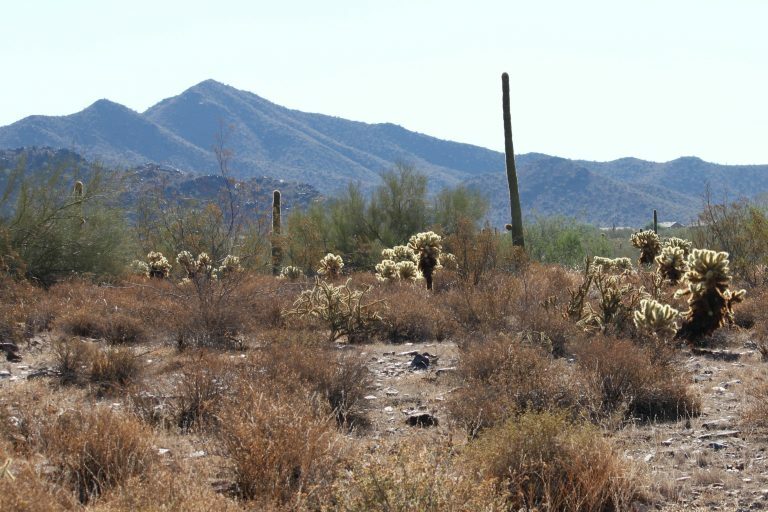 Visitors will enjoy well-maintained hiking trails and picturesque desert sunsets. 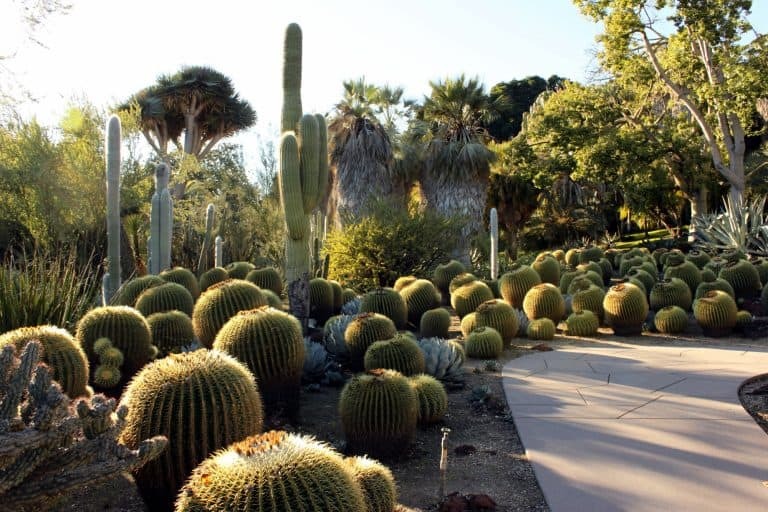 Stopping by the Arizona-Sonora Desert Museum will ensure you don’t miss anything this unique desert has to offer. This museum combines a zoo, aquarium, and botanical garden that showcases the diverse plants and animals of the Sonoran Desert. Explore more family-friendly experiences in Tucson, Arizona. The breathtaking red rocks of Sedona are just under 2 hours away from downtown Phoenix. Scramble over unique rock formations including the famous Bell Rock. Then spend some time admiring the view at The Chapel of the Holy Cross. Sedona also makes a great summer escape from Phoenix as temperatures are typically 10-15 degrees cooler year-round. When it does get on the warmer side, you can always cool off at Slide Rock State Park. 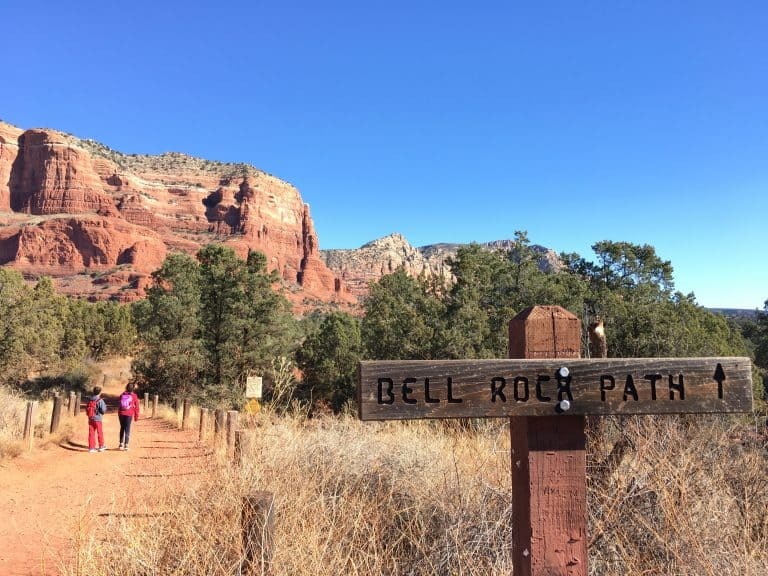 Find more Things to do in Sedona with Kids. Want more kid-friendly fun in Arizona? Check out our top ten things for families to do in Arizona!